Despite my brother sticking around in Mainz, I kind’ve pushed that my father and I needed to be at the airport with plenty of time to make our flight. 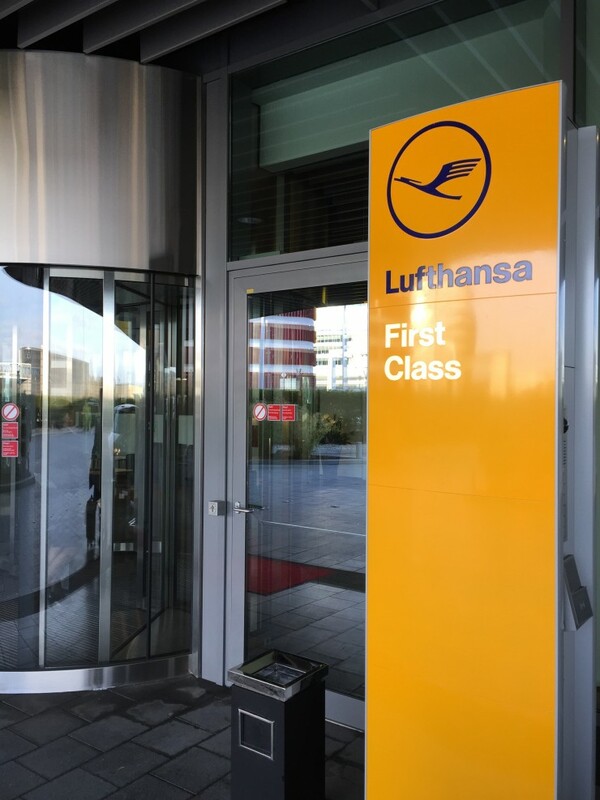 Yes, part of this was out of prudence, but the other part of this was because we would be flying Lufthansa First Class, and as a result, have an opportunity to visit the Lufthansa First Class Terminal. 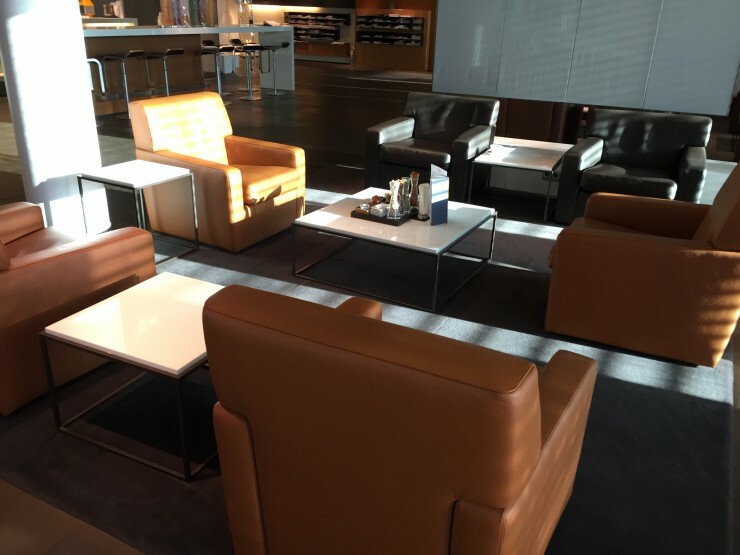 Little did we know, that we would also get a chance to visit the Lufthansa First Class Lounge, which would be my first time. 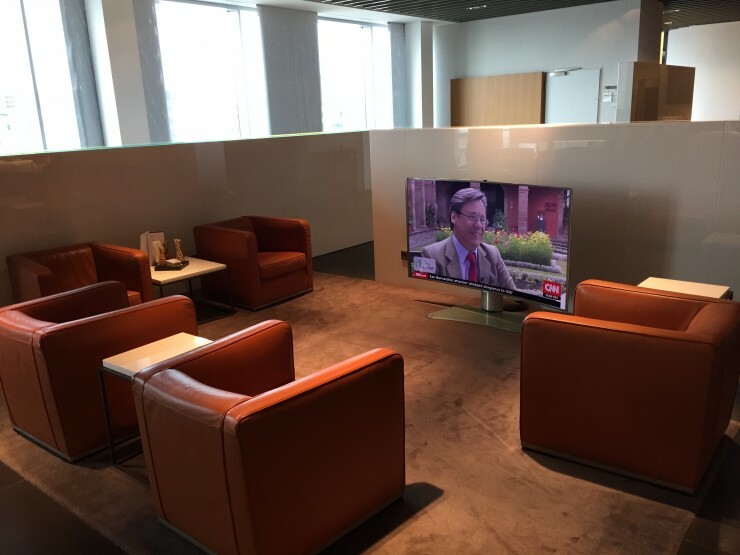 We arrived at the Lufthansa First Class Terminal via taxi, so we didn’t have the chance to get the more distant shot I think most folks see. Rather, this is what you see when you’re dropped off right at the door. Once inside, there are a few desks, where you introduce yourself, provide your passport and are welcomed into the terminal. 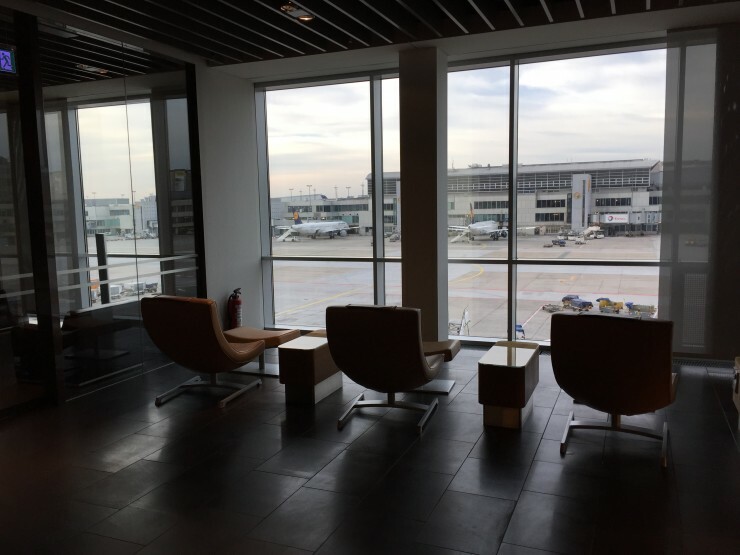 We were quickly welcomed, after which we went through security — they frown on photographs being taken there — and soon enough we were “airside, and settling into our seats. There were plenty of wonderfully comfortable seats to sit in, depending on what you happened to feel like at the time, whether you wanted to look out the window, or chat in a group environment. And of course there was that rather well stocked bar. 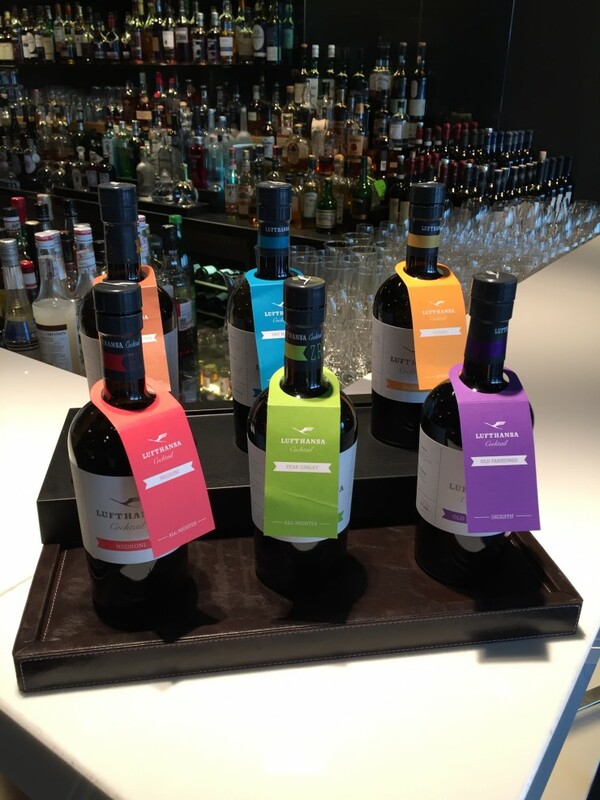 If you had a hard time deciding, Lufthansa had some pre-mixed beverages to try. For my father and I though, there was no difficulty in deciding. 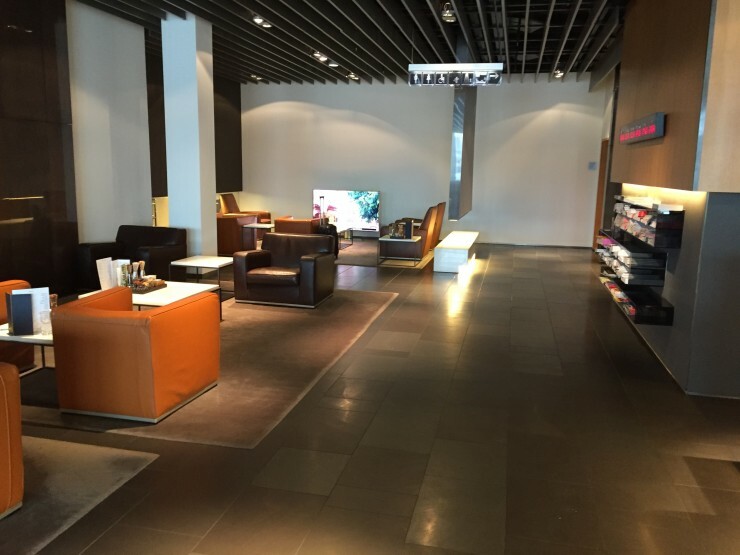 And the cigar room, but alas, we finally developed some self-restraint and skipped the cigar room….oh the cigar room. While I haven’t shown our beverages yet, this is the restaurant. 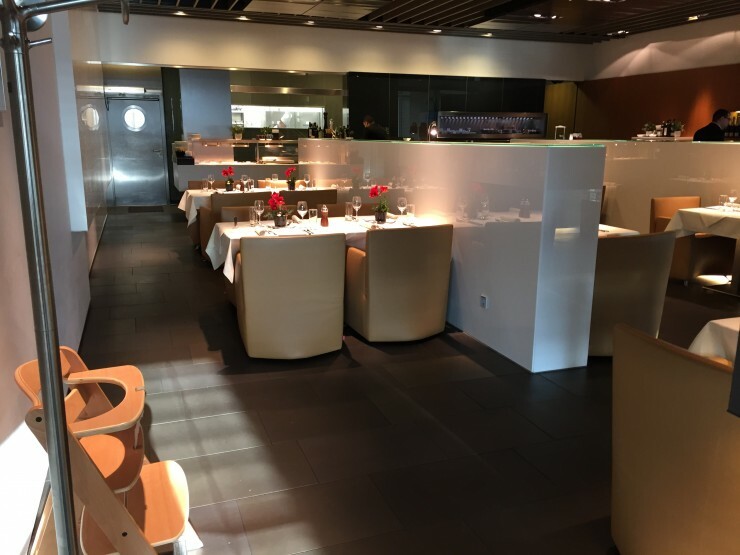 A wonderful sit down, a la carte environment, with a small buffett available as well. 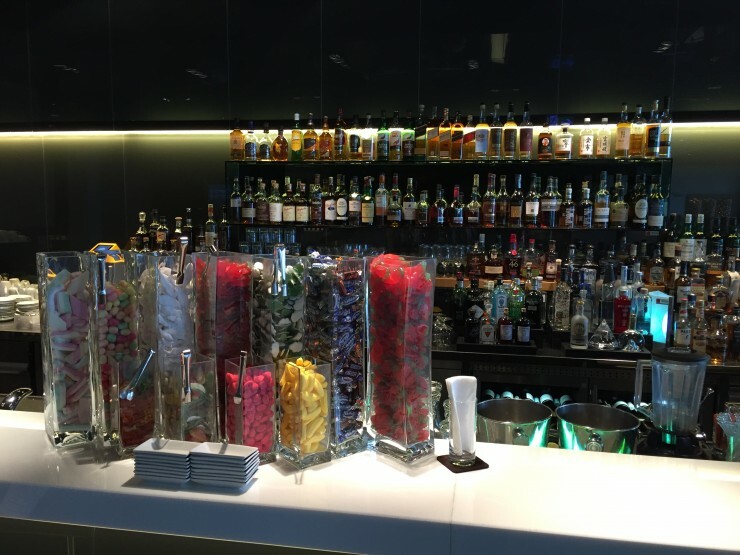 Since we had a long flight with wonderful food to be served on it, we decided that we needed to get a bite to eat in the lounge. 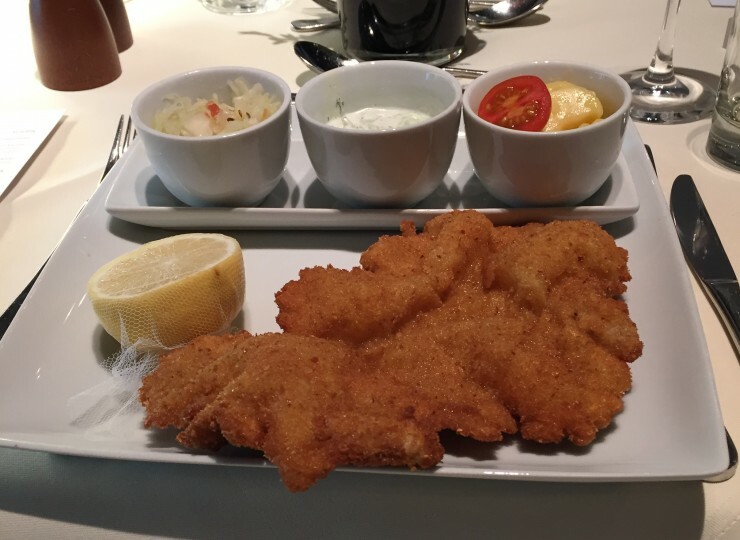 My father graciously accepted my recommendation of the wiener schnitzel, which I had thoroughly enjoyed back in July, and even more so this time. I think he approved, because well, there was nothing left by the time we finished. 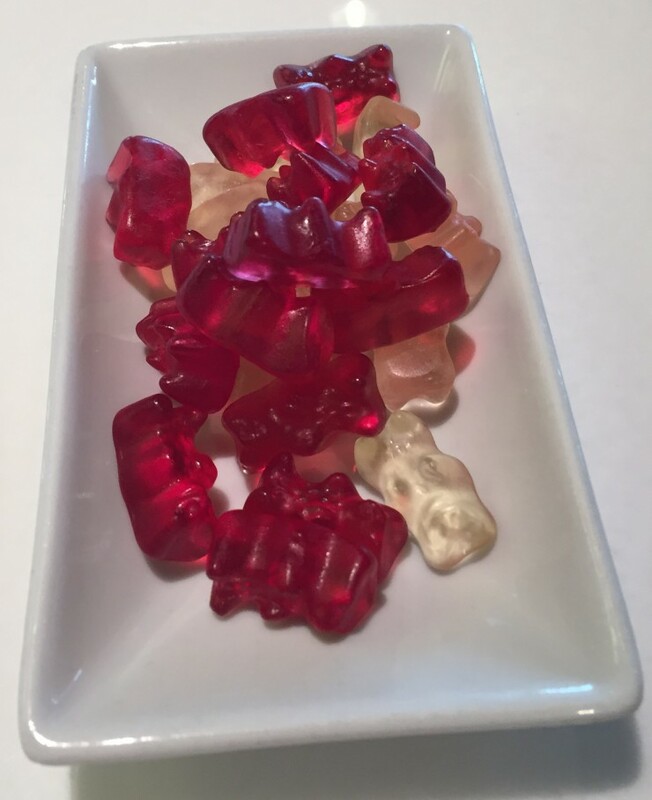 For a brief after lunch snack, I grabbed some gummy bears. I’m not a huge fan, but my wife is, so I couldn’t not grab some, luckily for me, my father was happy to indulge. 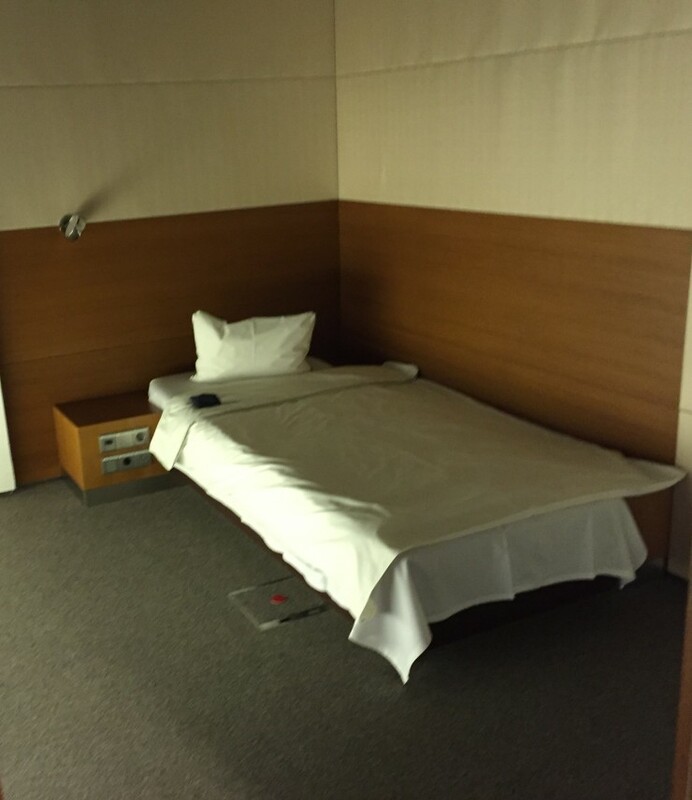 While we weren’t staying at the Lufthansa First Class Terminal for very long, in the event you were, there are two very nice nap rooms. One of these days I’ll find a use for one! 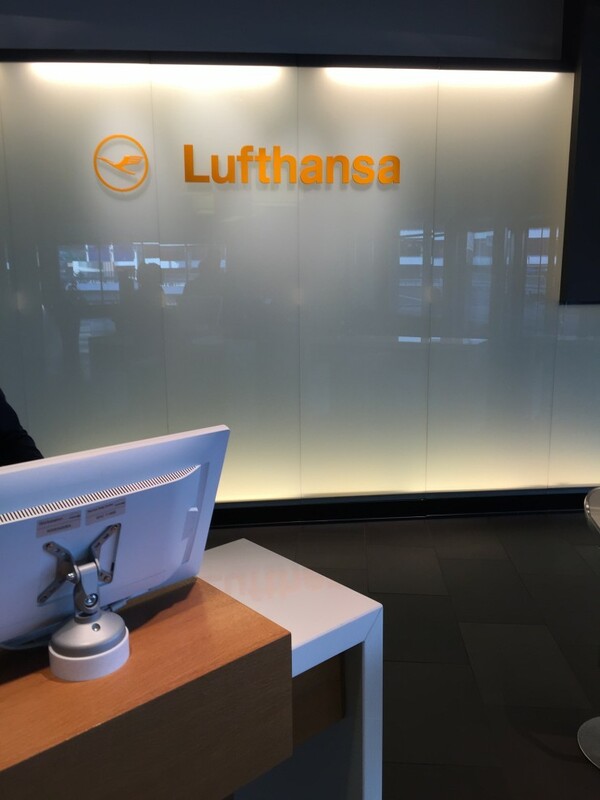 When it was time to head to the plane, we were found by our Lufthansa handler (I know there’s a better name for this, but that’s how it felt), and went downstairs, and was escorted to a Mercedes sedan. 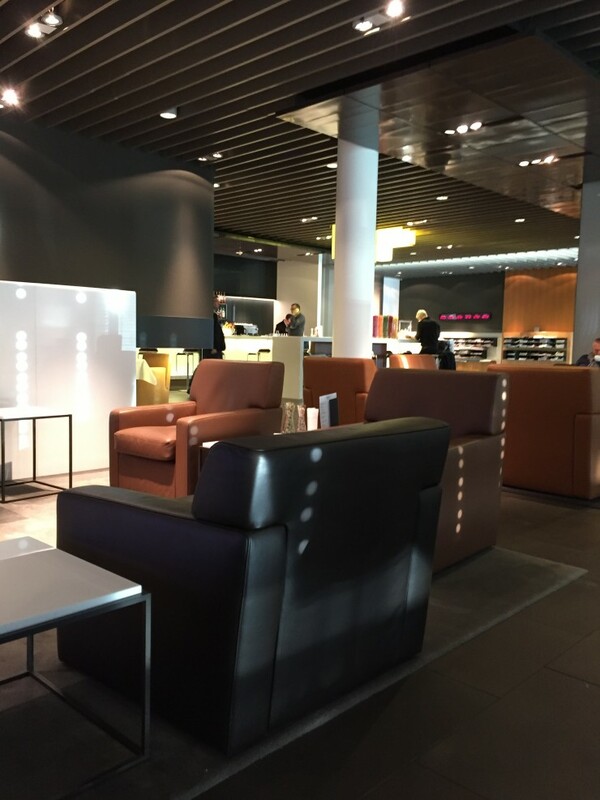 Unfortunately, after a half hour or so on the plane, we were escorted off the plane and driven to the Lufthansa First Class Lounge. There was a minor mechanical issue, so they needed to find us a new plane. 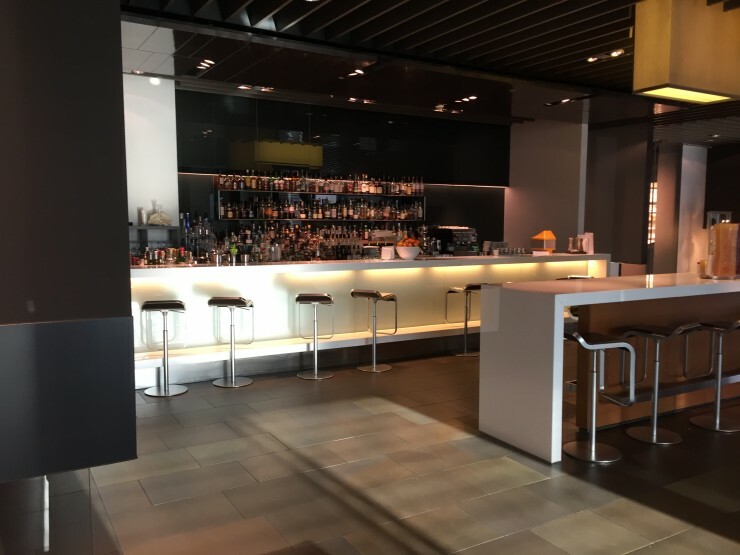 The benefit of this, was the fact that we got to visit the Lufthansa First Class Lounge over in B Terminal, a first for me, and my father was happy to indulge, despite some nervousness about his connecting flight. This was our view – nicer than the Terminal, if you ask me. 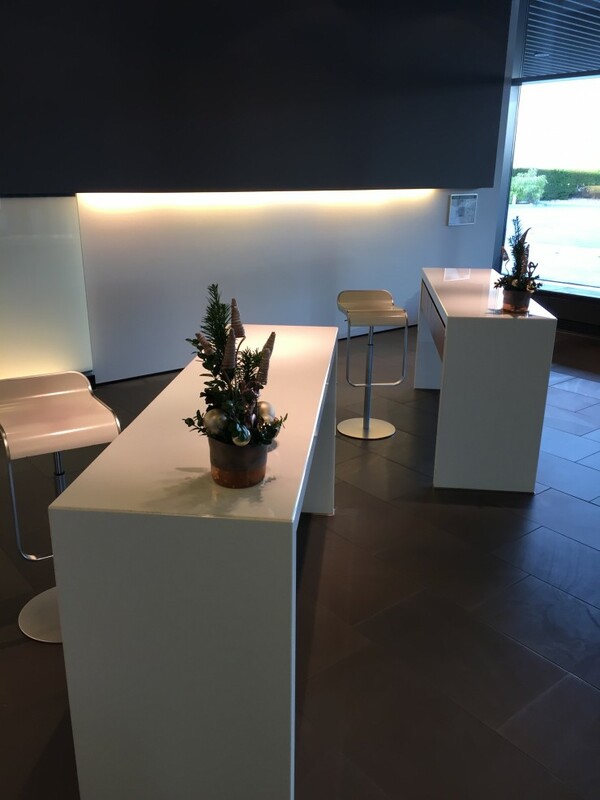 The bar was nearly as exhaustive… ok, not equivalent, but they sure tried! The seating areas were nice, this one even had one of those curved televisions (not really sure how beneficial it is, but I guess that kind’ve technology is not really my “thing”). There was more seating areas. 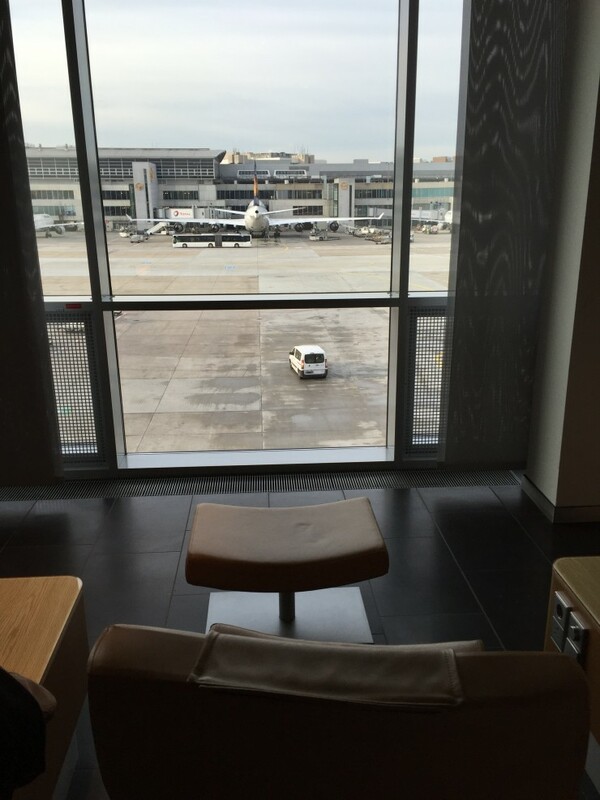 And alas, my favorite seating in the lounge were those comfortable lounges with a view. Before long, we were escorted to a Mercedes minivan, where we took a 10 or so minute drive to our retro-liveried Lufthansa 747-8i. 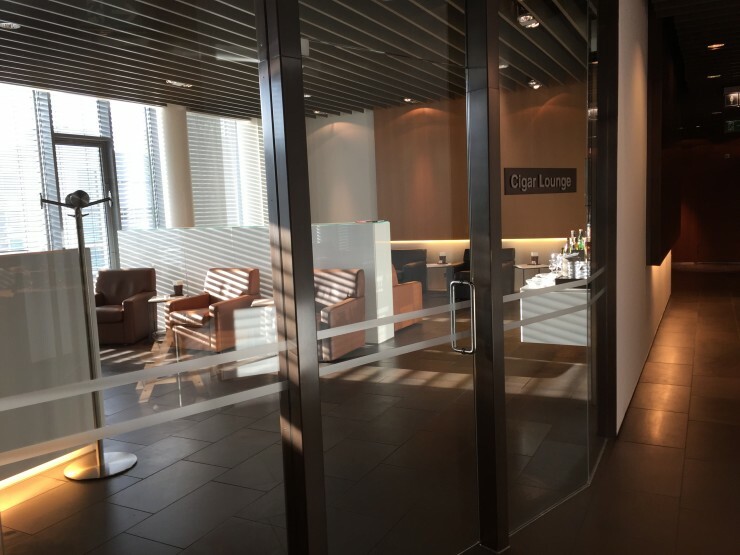 Overall, visiting both lounges was quite the experience, and I was certainly more than happy to roll with the delay. We got 3 – One each for the ladies in our lives.